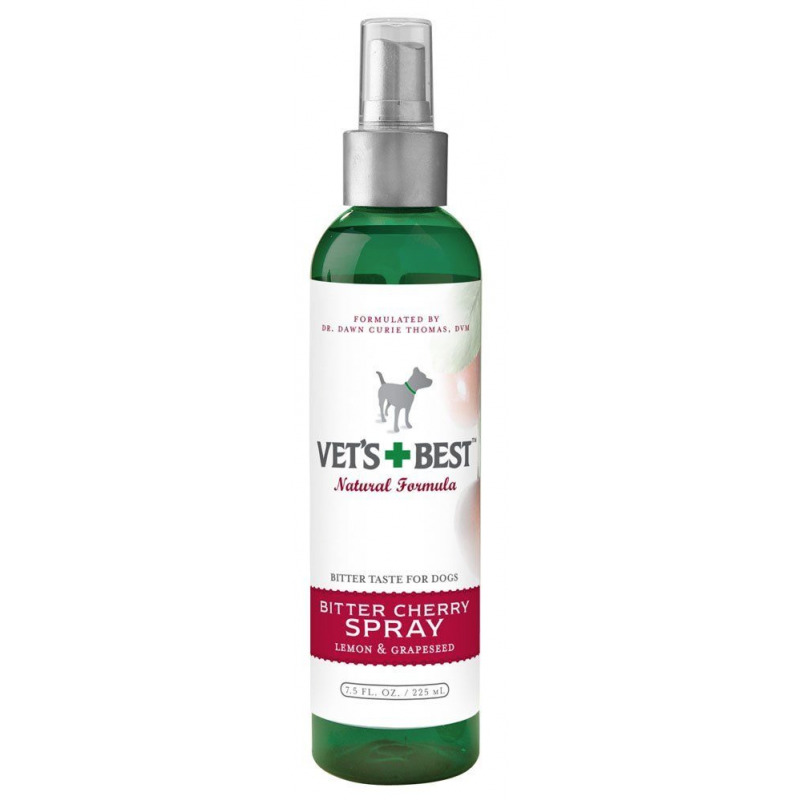 Vets Best Bitter Cherry Spray is gentle on the skin, but bitter to taste. It is a non-stinging, and alcohol-free deterrent containing Lemon and Grape Seed extracts, which discourages chewing and licking at skin, stitches or bandages. It can also be applied to furniture, pot plants and other items that your four legged friend has taken a shine to! It is clear and non-staining, plus it smells great even though it tastes horrid. When using on furniture and items of value please test for staining and colour change on a discrete area first.